Uterine fibroids are abnormal growths in the uterus and almost always are non-cancerous. Uterine fibroids are also one of the most common causes of infertility in women. 40% of hysterectomies are performed for the treatment of uterine fibroids. New microsurgical techniques have been developed to make myomectomy a choice for some women. Myomectomy is a surgery that removes the fibroid tumor and leaves the female organs intact. Reconstruction of the uterus is often part of the procedure. 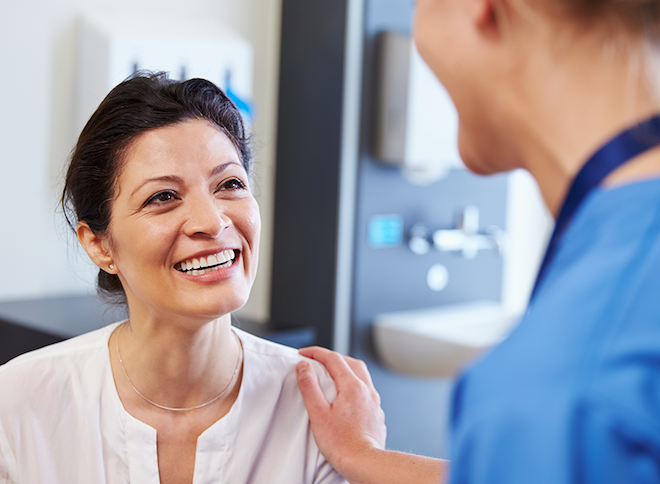 Specialists who perform myomectomies can discuss whether or not this is a procedure to resolve your problem and whether or not the procedure can be done on an outpatient basis. Medications are another option for treating fibroid tumors in some women. Prescription medications are available that can shrink the size of the fibroid and lessen heavy bleeding and pain. These medications can be used for a limited period of time and require careful monitoring by a physician. To learn about Myomectomy at RMA of New York, please contact us, or make an appointment.